I belatedly heard about Tito Rajarshi Mukhopadhyay’s newest book, Plankton Dreams: What I Learned in Special-Ed, which he wrote in 2015, so my review here is two years late. In my opinion, that’s no sin. We authors get lots of reviews in the beginning, but few later on. Since this book deserves your attention, it’s good to write about it later on too. For those who have not heard of Tito, he is Soma’s son, the first recipient of RPM, or however she referred to teaching her son how to communicate at the time. While everyone else with autism got 1+1 and play-doh, he got physics and Socrates and a true classical education. This is home-schooling Soma style. When scientists heard about Tito and his erudition and independent skills typing in a very autistic looking exterior, they wanted to study him, test him, and so on. I first heard of him just before I learned to type. My experts said he was “one in a million,” and my ABA supervisor said he wasn’t really autistic because his typing proved he had been misdiagnosed. In other words, he has been knocking down their doors for a long time and each book pushes a bit harder. This memoir “novella,” (it is a short book), is sad, funny and biting satire. When Soma and Tito moved to Austin, Texas from India so she could teach communication to autistic kids, Tito had to go someplace during the day while she worked. The system being what it is, this brilliant, educated young man who moved autistically, got sent to a special day low expectation autism class. He used this time to analyze, like an anthropologist or social scientist, the absurdity of his situation. He studies “scientifically,” how people react to him sniffing their heads, rummaging in their purses and spinning their chairs. All for the sake of science! He savages the system. 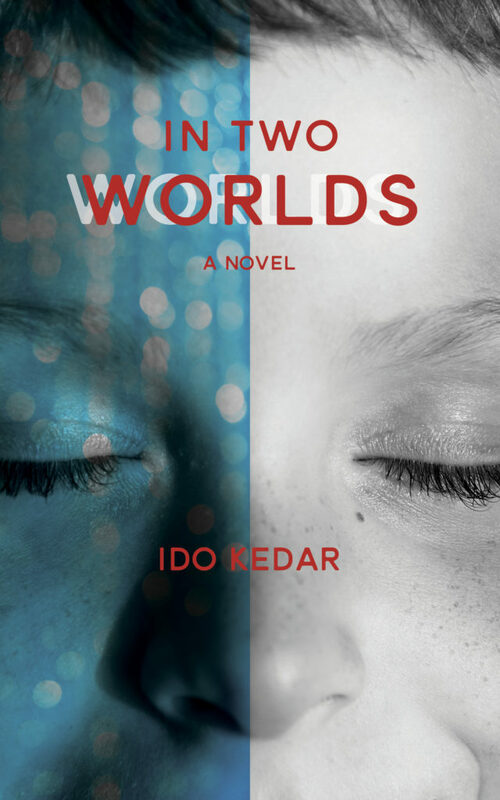 He describes the people in his world in special-ed: the students, the teacher, the aide, the teaching assistant, the administrators, the bus driver, the do-gooders (“Mr. Goodness Gracious”), and also his own boredom in this environment. Tito conveys his surreal existence, bored and analyzing his boredom through his sensory lens of highly educated philosophy. Sometimes the book is laugh out loud funny. Sometimes it is tragic-comedy. 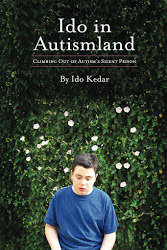 This book is unique because Tito is fully into Autismland perspective as he writes. We live in an exciting time! A time when people are starting to think that maybe the children and adults that we were certain were receptively and cognitively challenged are actually bright, literate, capable, and gravely underestimated. As a mom of one of these underestimated children, it certainly feels like change is in the air. The tide is turning! It may be like turning the Titanic, but maybe once we start to build momentum and inertia takes over, there will actually be a paradigm shift that will change the lives of countless incredible, bright and often misunderstood individuals. We are missing out on so many gifts and insights. If people only knew! My heart is beating fast just thinking about how I feel every time my son, Dillan, shares his thoughts with me. Everything from simple opinions, to funny stories, and profound insights. It’s life changing for all of us. He feels like his life began when he started to communicate. That’s not an easy thing for a mother to hear, but it’s honest, and I can only imagine how limited his world was when he had no way to express himself. I never gave up. I urged his teachers and therapists to see who he truly was, to raise the bar, to give him the opportunities he deserved. I don’t know if my desperation was apparent from the outside, but inside I was screaming. “Don’t you see??? ?” I showed video of him doing math and writing stories, explained the process, and tried so hard…so hard. But sometimes a journey has it’s pace, no matter your plan. It took several years and the right support in place to finally achieve the daily communication and learning opportunities that Dillan has now. Today, things are finally moving in the right direction. I must admit that it is taking Dillan a bit longer to become fluid in his typing with me than it has with some others. That being said, we are getting “our groove” and improving every day. We will have to work together to sort through the pain, frustration and hopelessness that Dillan experienced all of those years, but it’s never too late to find a voice…never too late! The documentary “Wretches and Jabberers” features two incredible men who began typing later in life, and I’m sure many other have been able to communicate after years of silence as well. It’s never too late. As parents, there are a lot of intense feelings to face in this process, but none of them compare to their sentence of silence, so we have to take a deep breath, support them, push for them, and celebrate who they are and have always been. It’s painful. But we can do it. We must do it…for them. But we don’t have to do it alone. We can build a community to support each other, and to provide opportunities for learning and practice. We all need communication. Real communication.